Paperback, 9.25 x 11.25 in. / 160 pgs / 140 color. Edited with text by Fanni Fetzer. Text by Chus Martinez, Matthieu Poirier, Neville Wakefield. 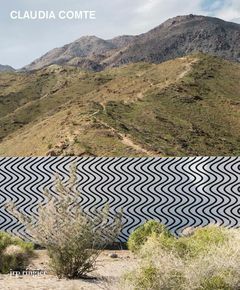 Swiss artist Claudia Comte (born 1983) is best known for her site-specific installations featuring wooden sculptural forms set against abstract wall paintings and for her installation in Palm Springs, CA. This volume documents her most recent works as well as her first retrospective survey, 10 Rooms, 40 Walls, 1059 m3. FORMAT: Pbk, 9.25 x 11.25 in. / 160 pgs / 140 color.